Seventeen-year-old Chan's ancestors left a dying Earth hundreds of years ago, in search of a new home. Generations later, they are still searching . 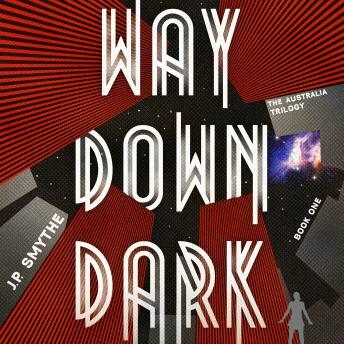 . .
Every day aboard the interstellar transport ship Australia is a kind of hell, where no one is safe, no one can hide. Indeed, the only life Chan's ever known is one of endless violence. A life of survival. Fiercely independent and entirely self-sufficient, she has learned to keep her head down as much as possible, careful not to draw attention to herself amidst the mayhem. For the Australia is a ship of death, filled with murderous gangs and twisted cults, vying for supremacy in a closed environment with limited resources and no hope. Is it worth endangering her life and the lives of her few friends and loved ones for an uncertain return to a home world that may be uninhabitable? Especially since to do so she must descend into the deep dark in the bowels of the ship, which is piled high with the bodies and the secrets of the dead . . .